Stacey Abrams, the 2018 Democratic candidate for Georgia governor, gave Democrats’ response to President Donald Trump’s State of the Union. 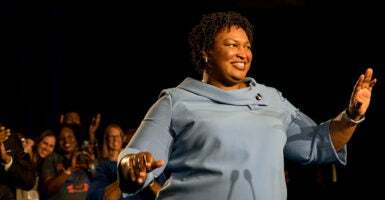 Abrams, who lost the governor’s race in November to Republican Brian Kemp, is viewed as a rising star in the Democratic Party. Here’s a a look at a few of the facts she stated during her speech. Abrams slammed the 2017 tax reform package, known as the Tax Cuts and Jobs Act, which slashed corporate and individual tax rates. A July analysis by The Heritage Foundation found that the tax reform law cut taxes for middle-class Americans. The average taxpayer saw a tax cut of $1,400, and the average family with two children got a tax cut of $2,917. Further, Americans in every congressional district got a tax cut. Also, labor force participation has increased because wage growth is causing Americans who previously dropped out of the job search to look for work. “The shutdown was a stunt engineered by the president of the United States, one that defied every tenet of fairness and abandoned not just our people—but our values,” said Abrams. However, both sides have blamed the other for the partial government shutdown. The shutdown, which lasted more than a month counting non-work days, hit 800,000 federal employees but affected only 25 percent of the government. Trump said Dec. 11 during a televised meeting with then-House Speaker-in-waiting Nancy Pelosi, D-Calif., and Senate Minority Leader Charles Schumer, D-N.Y., that he would be “proud” to shut down the government. The Senate passed a spending measure to fund the government through February without the border wall funding Trump demanded. But the House, still under Republican control, passed a bill with wall funding. The shutdown began Dec. 22. During one of the negotiating meetings at the White House on Jan. 9, Trump offered candy to Democratic leaders. Trump said he would reopen the government immediately if Democrats agreed to funding a border wall. Pelosi said no, and Trump left the meeting. On Jan. 19, Trump offered to extend temporary protection to certain illegal immigrants under the Obama-era Deferred Action for Childhood Arrivals program in exchange for a wall. Pelosi rejected the compromise. On Jan. 25, Trump announced that he would sign a bill funding the government for three more weeks until a border security deal can be reached. She announced plans to start an organization called “Fair Fight,” which she said would fight for voting rights. To the degree that voter suppression is real, it’s not clear how widespread it is. 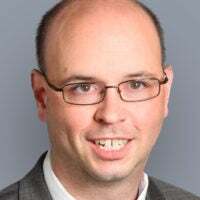 During eight years of the Obama administration, the Justice Department brought just five cases related to race-based voter suppression under Section 2 of the Voting Rights Act, said Hans von Spakovsky, manager of the Election Law Reform Initiative at The Heritage Foundation. What Democrats often mean by “voter suppression” is a reference to voter ID laws, which require persons to produce photo identification before they are allowed to vote at their polling place. A University of Missouri study found that Indiana’s turnout increased 2 percent after its voter ID law was implemented, with no negative impact on minority voters in particular, and increased turnout for Democrats as a whole. Yet another study, this one by the University of Delaware and the University of Nebraska-Lincoln, found that at both the aggregate and individual levels, voter ID laws did not affect turnout across racial, ethnic, or socioeconomic lines during the 2000, 2002, 2004, and 2006 elections.